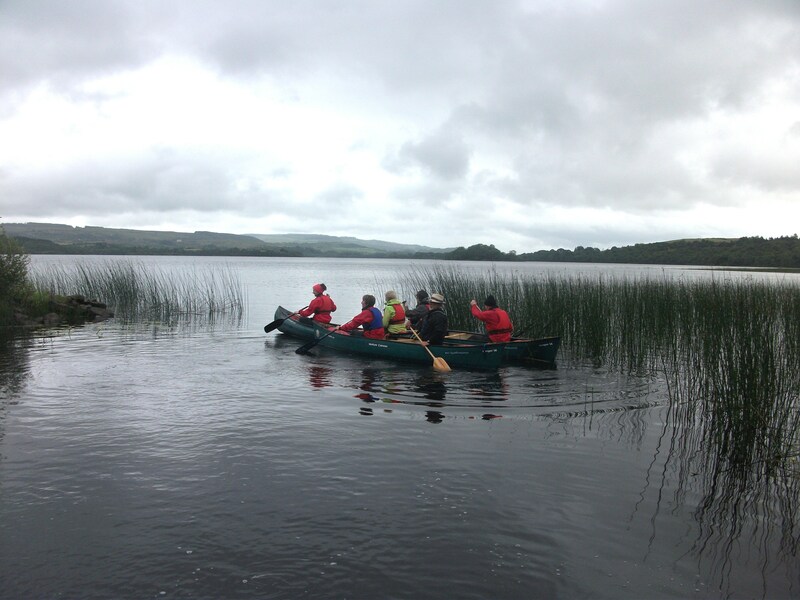 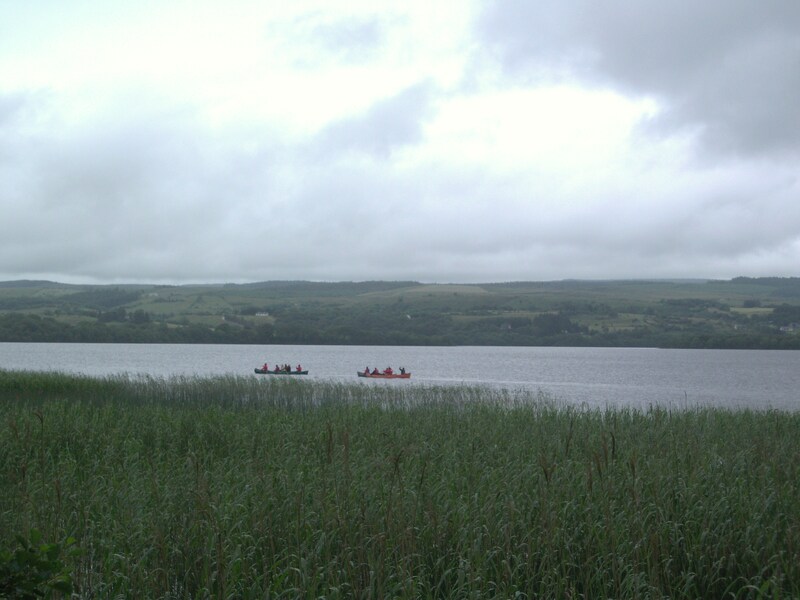 Canoeing, cycling and walking what a great way to start your 60th year and all on a ‘soft’ July day in Leitrim! 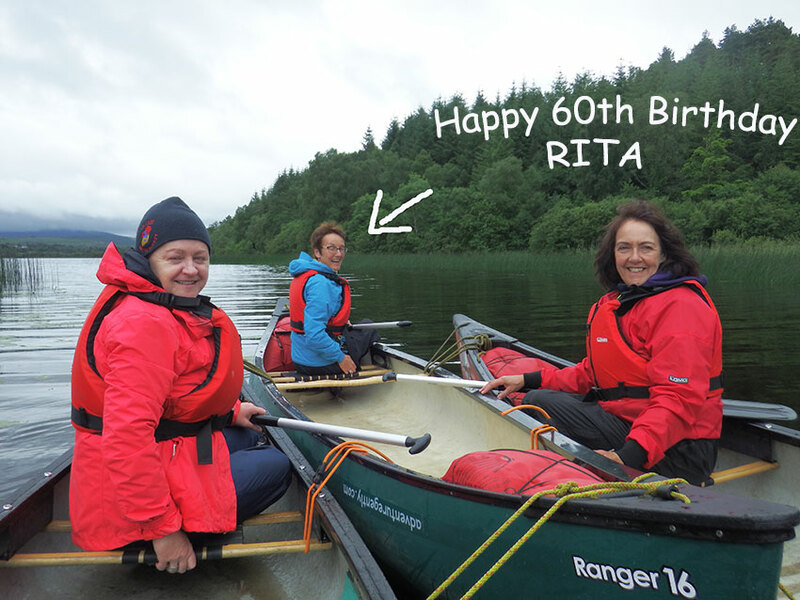 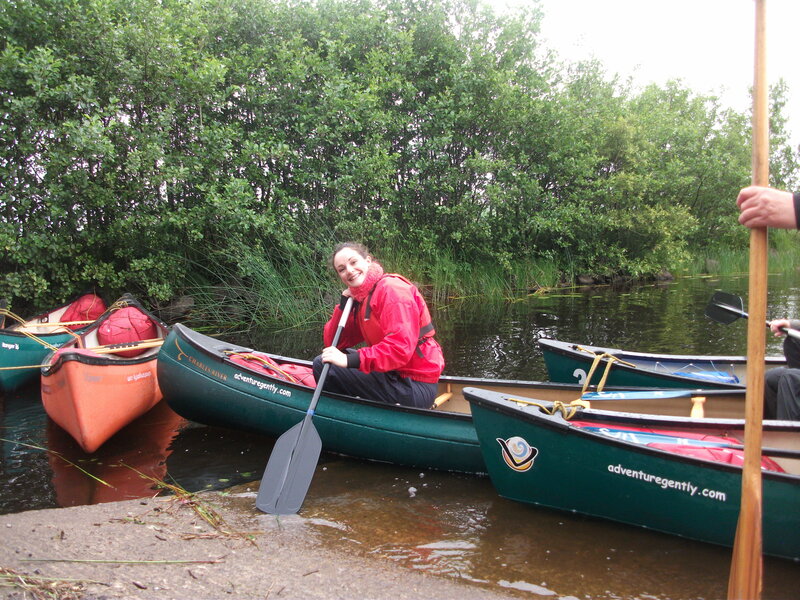 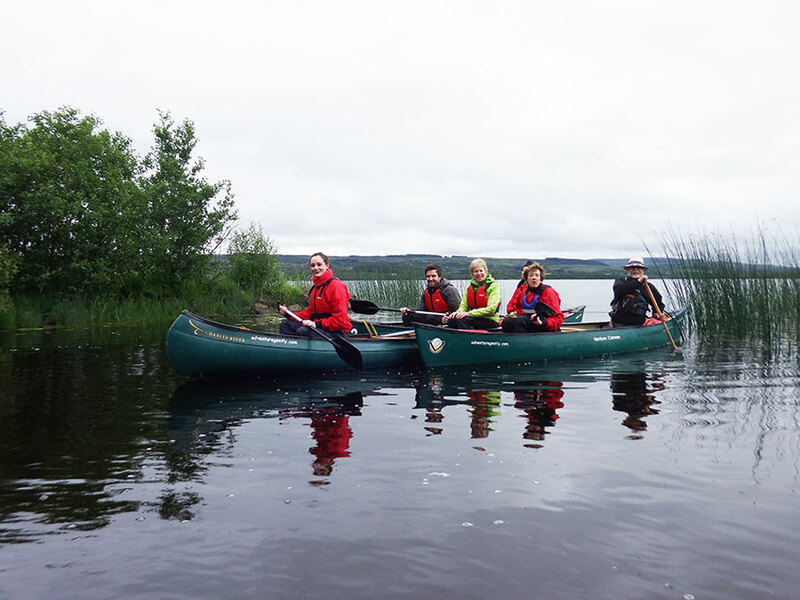 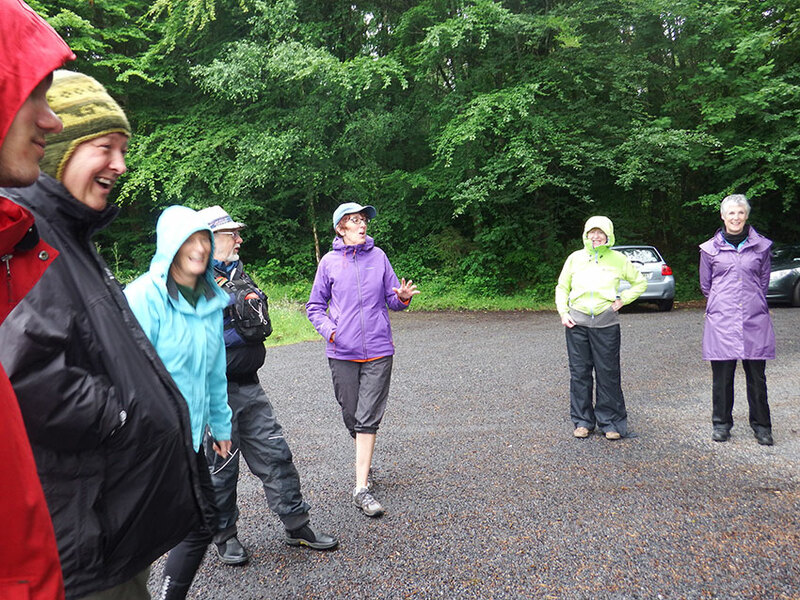 Rita gathered with her friends at Lough McNean Forest and Lough to enjoy an invigorating BIG DAY OUT event. 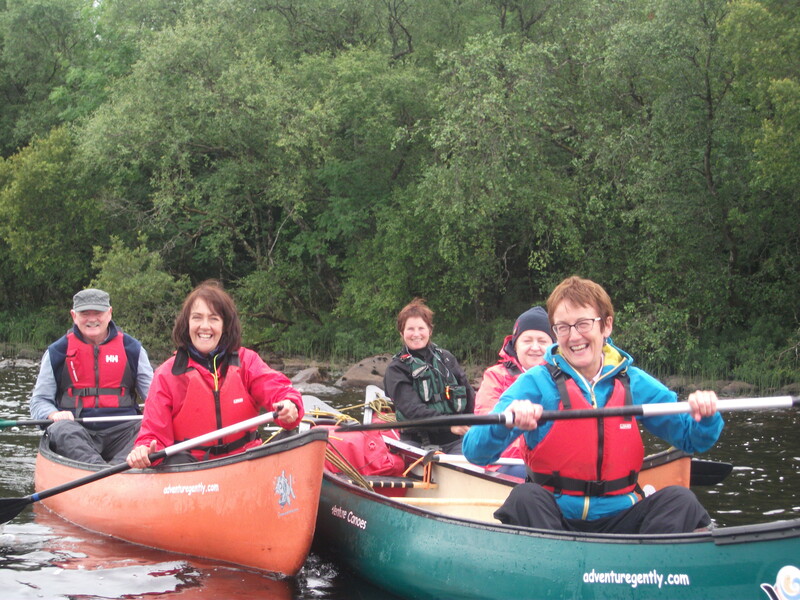 Lots of fun, catching up, smiles and laughter on the water, lanes and forest, this group is definitely young at heart and knows how to celebrate life! 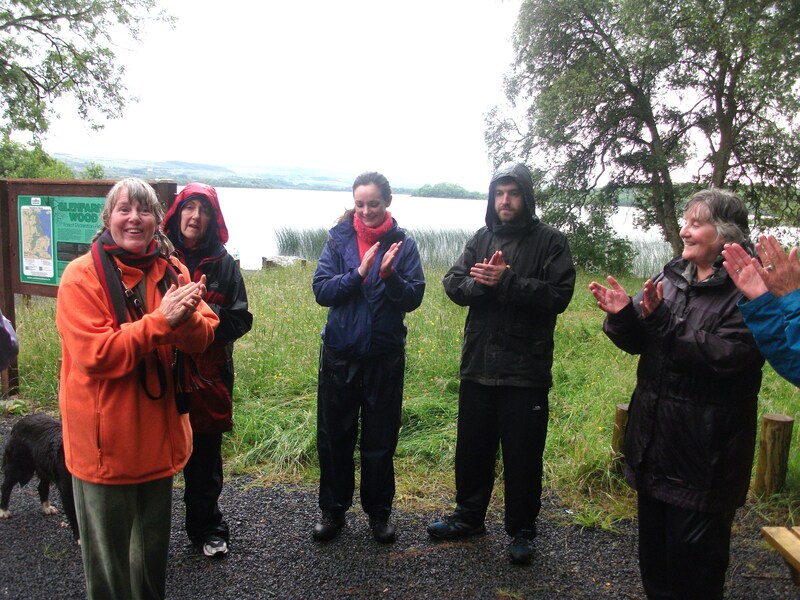 Nuala letting everyone know what is in store for the day! 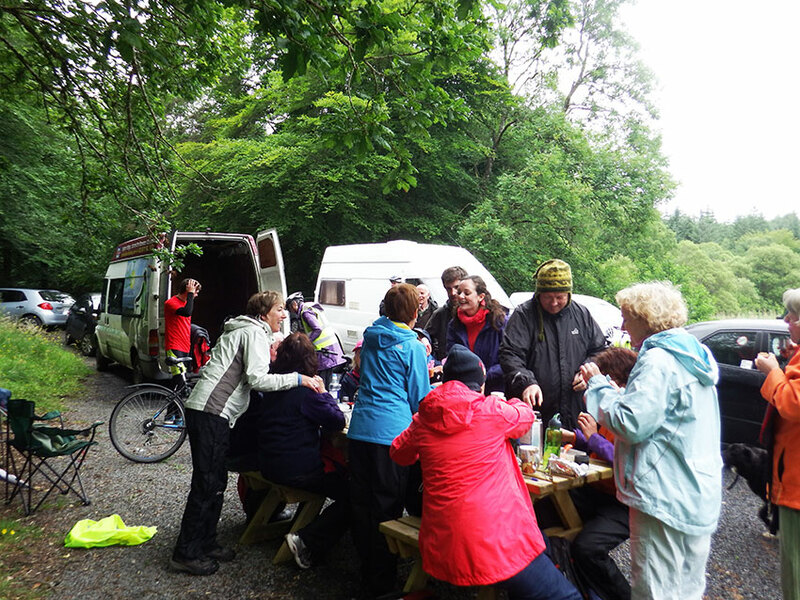 Second every BIG DAY OUT event, Leitrim Village and roundabout. 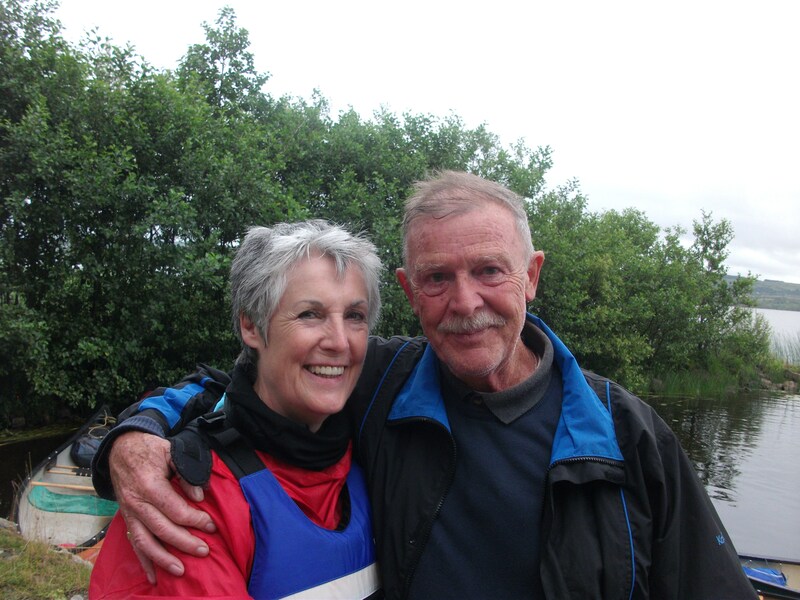 10th November 2013, what a super day out! 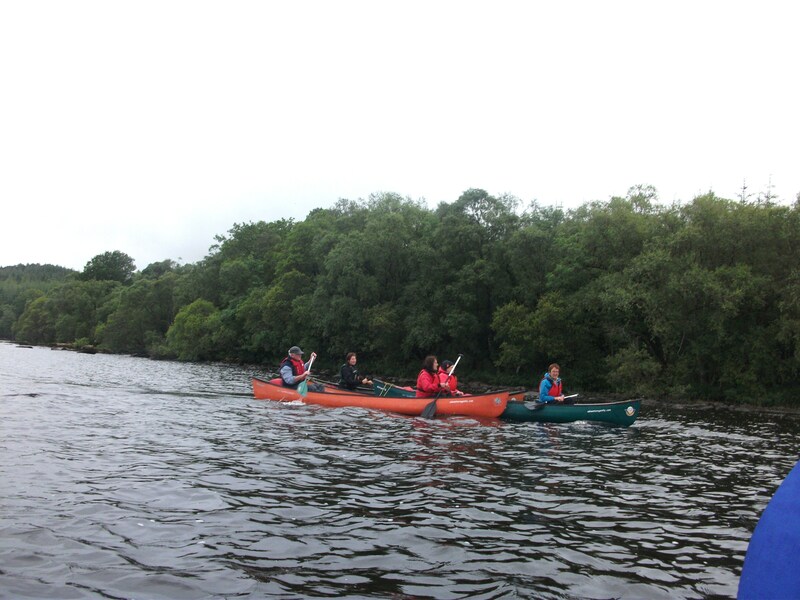 Next BIG DAY OUT …… Dromahiar or phone Eileen, 0877386439, to arrange your own BIG DAY OUT with a group of 10 or more. 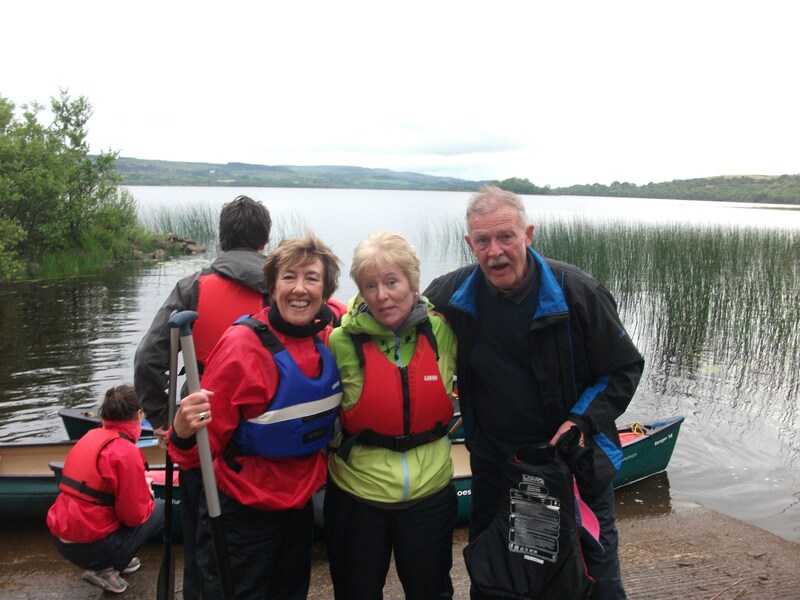 Some pics of our first event 20th Oct 2013, Lough MacNean Forest and Lough. 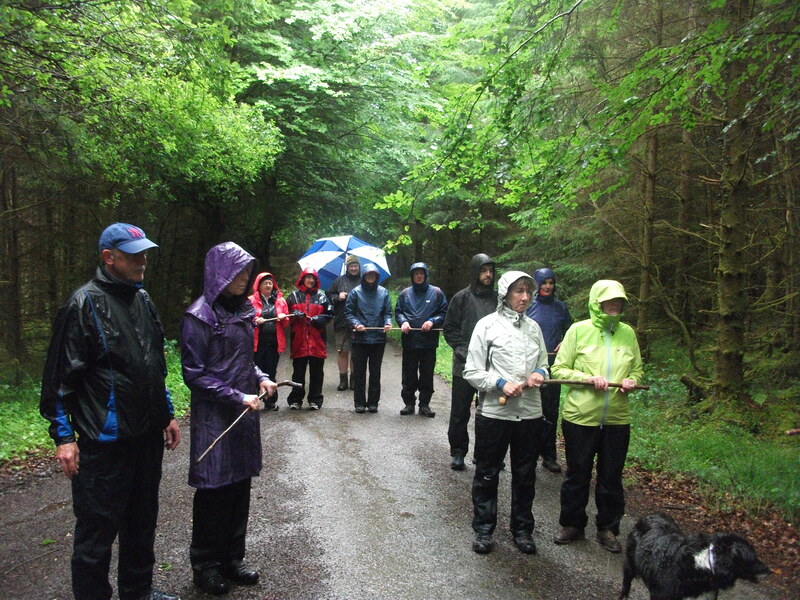 Enjoying this event were local people and Ocean Fm’s Francie Boylan who recorded the three activities….. and more! 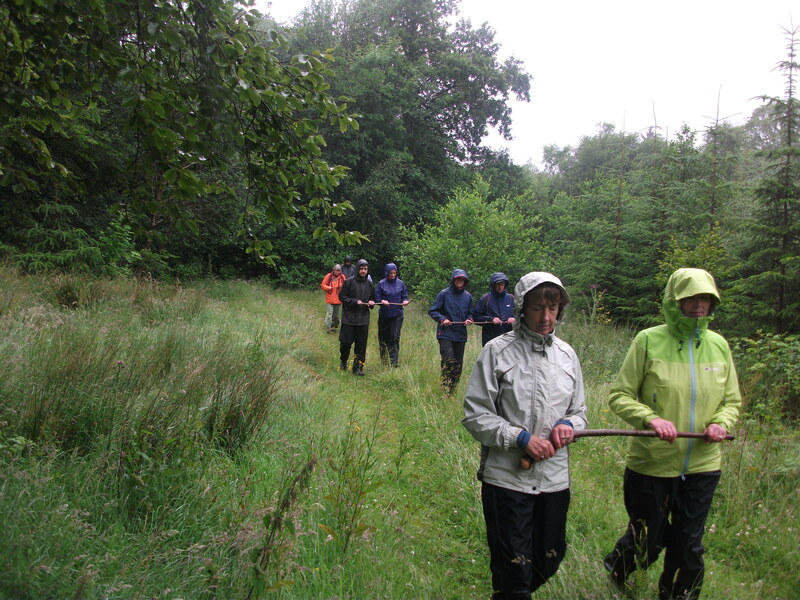 ‘Tina in action’ explaining the different uses of willow. 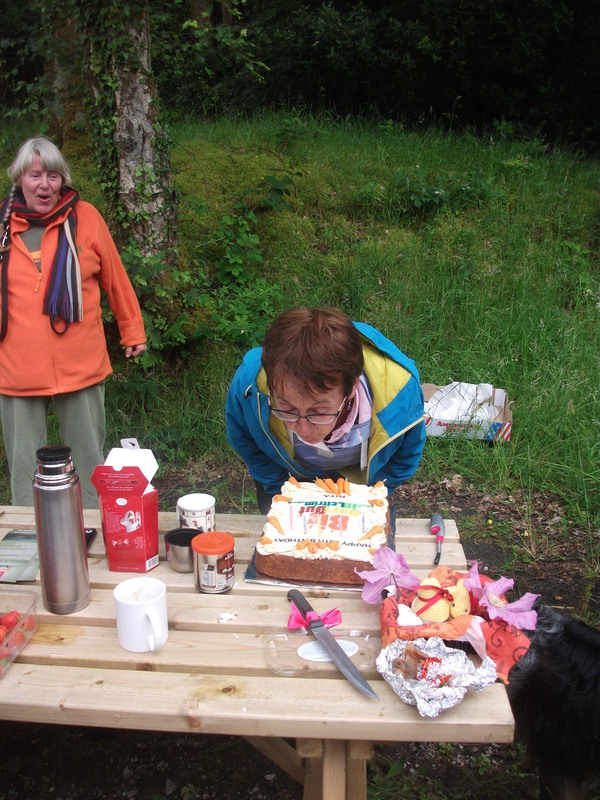 Are you sure you are size 4 Nuala! 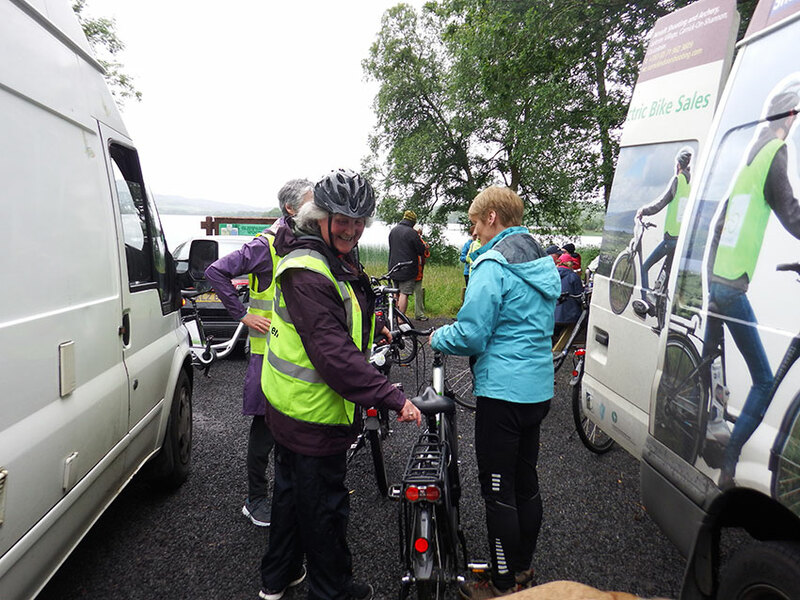 Big Day Out Team, (from left) Graham and Adrienne, Adventure Gently, Nuala with Tina in front, Leitrim Landscapes and Eileen, Electric Bike Trails.